I try to spend very little money at the grocery store. Though coupons are not available where I live, by taking advantage of sales and other money saving shopping tricks, I am usually able to keep my grocery bills down to approximately 100 dollars a month for our family of 4. Today though, I am spending 100 dollars on food in addition to the 50 dollars I usually spend on my bi-weekly grocery shop. How do I have no problem spending that much extra money today? Because that 100 dollars was spent on buying food in bulk. If you want to save money, sometimes it is important to spend more money upfront so you'll be able to save later. Bulk food is just one example of how laying out money now will save you more money in the long run. Supermarkets have all sorts of tricks up their sleeves to get you to spend money, but by using their techniques to your advantage, you'll be able to save yourself much money. One trick is offering discounts if you buy large amounts. Buy two, get one fee, for example, or offering sales prices if you buy x amount. Last time I went grocery shopping, you could buy name brand pasta for 1.50 and a generic bag of pasta for 75 cents, but if you bought 8 packages of the generic, you'd only pay $3.25, making that approximately 40 cents per package- almost one third the price of the name brand and half the price of the cheap generic! Alternatively, if you buy things directly from a distributor, you can usually get amazing prices, but you need to buy a lot at one time. No one wants to be eating noodles every meal until all the macaroni gets finished, no matter how many different ways mom cooks them. Building a stockpile is a way to take advantage of sales that require buying large amounts without needing to eat the same food repeatedly. A stockpile is when you buy a lot of groceries and keep them in your house in storage for future use. You may be keeping packages of toilet paper, shampoo, flour, beans, etc. Stockpiles, stored separately from the groceries currently in use, are filled with the excess bought on shopping trips. After using up the items in your pantry, you simply restock your cupboard from your stockpile. Never run out. Running out of an item you need between shopping trips or while in the middle of making a recipe is not only annoying, it also makes you more likely to spend extra money.. While you can always use ingredient substitutions it is better to have everything you need in stock. By keeping a stockpile of all items you frequently use, you're less tempted to make the mistake of quickly running out to the store to get what you need and come home with extras that you definitely did not need. Take advantage of good prices. Prices fluctuate day to day and week to week. When stockpiling, you stock up on items when they've reached a price that seems reasonable to you. Even when that item is not currently being sold at an affordable rate, you're able to benefit from the cheaply bought food. Additionally, you're able to get the discounts offered when buying food in bulk. Not living "grocery shop to grocery shop"
Living "paycheck to paycheck" is an uncomfortable financial situation that should be avoided if at all possible. This type of lifestyle is risky because you never know what unforeseen expenses may pop up, and if circumstances might change for the worse. By living paycheck to paycheck, you're banking on the assumption that you'll still have that same income next month, when we know that, unfortunately, such is not always toe case. Live paycheck to paycheck and you'll be in trouble if your salary or expenses change. Living from shopping trip to shopping trip is just as hazardous. Unforeseen circumstances do crop up, and by only buying things you'll need until the next shopping trip, you may be unintentionally hurting yourself. Preparing a stockpile is preparing for the future wisely. Storms, disasters, and other emergencies. At times, your larder may be bare as you intend to go on a shopping trip soon. What happens if a storm, strike, or hospitalization begins right as you emptied your stores? By having a constantly replenishing stockpile, you ensure that you'll always have enough to eat, even if shopping becomes an impossibility. Lean times. Whether sudden large expenses pop up or your income is drastically lowered, by keeping a stockpile of necessities in store, you can give yourself a buffer for times when money is tighter. You can survive off the food you already have and put your budgeted grocery money to more pressing needs. Stockpiles should be kept out of the way in a place that is relatively easy to access. Basements, spare bedrooms, linen closets, and above the refrigerator are all places I've seen used to store a stockpile for non perishables. You want the place to also be free of bugs and excess moisture. Freezers can also be used to store non perishables; this will keep the food infestation free. If you buy enough perishables in bulk, consider purchasing a spare freezer only after comparing the price of electricity and the equipment versus the amount saved by buying bulk. We live in a tiny apartment with zero storage space; we store our stockpile in our currently unused dryer (which my husband suggested keeping as a backup for cloth diaper emergencies during the rainy winter season). I got the idea from Debbie at Where's My Rolling Pin and it works great. It utilizes what would otherwise be wasted space, seals to keep out bugs and moisture, and gives me more of an incentive to never use my dryer. To begin stockpiling, see if you have any spare cash to use toward buying bulk. If you need to borrow money to buy your bulk food either from friends, the bank, or the credit card company to do so, don't! It is generally not a good idea to be spending money you don't have to "save" money. Buy good storage containers. Food grade buckets and mason jars are a good way to ensure that your food stays fresh for longer. 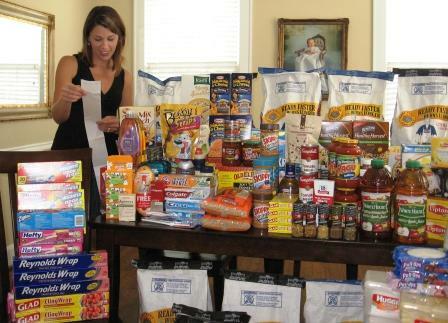 Try to allocate a set portion of your grocery budget for buying bulk or stockpile items. Start small, with one or two things. Within time, you'll have a large stockpile capable of supporting your family during difficult times and ensuring that you'll always have the ingredients you need at hand. 5 pounds of citric acid. 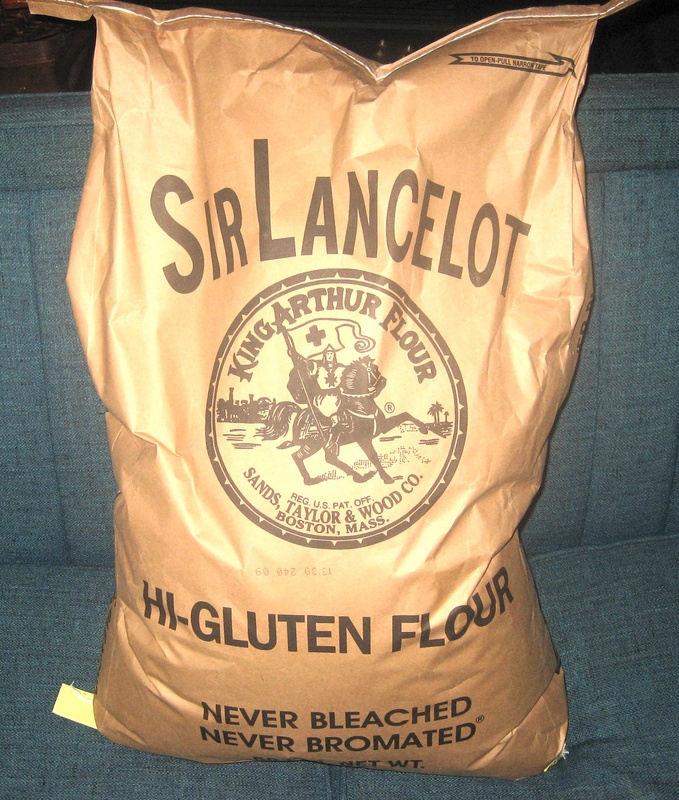 I also have- white flour, rice, sugar, lemon juice, tomato paste, vinegar, oils, jello (rarely buy- this was on sale and I want to use it to make jelly candy), ketchup, navy beans, chickpeas, brown lentils, red lentils, noodles, popcorn, chicken, milk... to name but a few things. Tell me about your stockpile. Do you have one? Where do you keep it? What is in your stockpile? How do you usually replenish it? How long do you think you can survive merely off your stockpile? What are your stockpiling tips? Buying in bulk- does it pay? Loss Leaders- get the better end of the bargain!